Dental implants are artificial tooth replacements used to replace a missing tooth or teeth, helping to stop or prevent jaw bone loss. Implants are specially made posts that replace the roots of teeth that are missing and are used to support a new crown, fixed bridge or denture. It is made of titanium, a strong and lightweight material which has been shown to be compatible with the body and safe for use. By replacing missing tooth roots, implants offer more than an esthetic enhancement, providing people with the strength and durability required to eat all the foods they love, without struggling to chew. Although you have a number of restorative options for the treatment of missing teeth, none have proven to be as functionally effective and durable as implants. 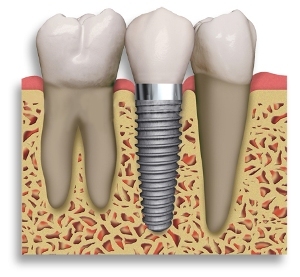 Dental implants are surgically placed in your jawbone, where they serve as the roots of missing teeth. Because the titanium in the implants fuses with your jawbone, the implants won’t slip, make noise or cause bone damage the way fixed bridgework or dentures might. And the materials used can’t decay like your own teeth that support regular bridgework can. Dr. Alan Ross, a Keene NH Dentist, is trained and certified in dental restoration and uses only the highest quality materials. 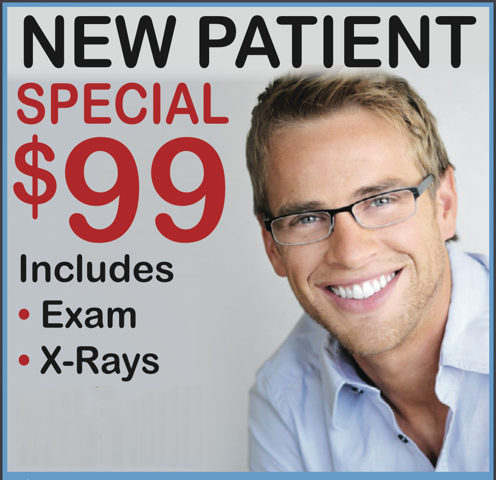 Call Keene Family Dental and find out if a dental implant will help restore your smile and maintain your health.